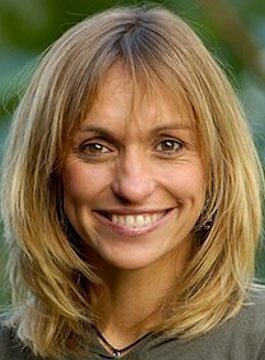 Michaela Strachan is one of television’s best-loved wildlife presenters with an extensive list of credits. Michaela trained at the Arts Educational School specialising in musical theatre. She started her career in Seven Brides for Seven Brothers on national tour, in the West End and at the Alexandra Theatre, Toronto. Since 1990, Michaela Strachan has become more familiar to audiences for presenting wildlife programmes. Michaela is part of the presenter team for the popular Springwatch, Autumnwatch and Winterwatch. Michaela is best known for her wildlife programmes The Great Penguin Rescue and the double BAFTA winning Channel Five series Michaela’s Wild Challenge. She has also worked for Discovery’s Animal Planet presenting Postcards from the Wild and Adopt a Wild Animal as well as many others. Michaela is a popular choice to host wildlife festivals and to open natural history, environmental and ecological events and present award ceremonies.